Data matters, even - and especially - when it comes to talent management. In an increasingly service-based economy, the cost of human resources is often the first item on any organization's balance sheet. It's a cost that, ideally, is offset through the productive contributions of an organization's employees. But, far too often, the value of these contributions are never known. Why? Because the cost/benefit of talent management is rarely measured. 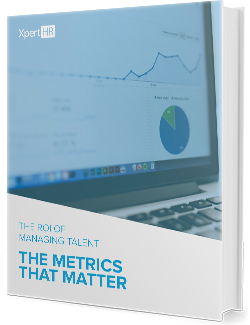 Download this eBook today and you'll be well on your way to proving the ROI of talent management from acquisition to retention and risk. Insights on how HR teams can keep their portfolios stocked with great talent.